It’s night time but you could be tricked into believing it’s daytime for the sky is illuminated by a full yellow moon that is suspended low on the horizon. I’m loping along a winding sandy track that ducks and weaves like a serpent across the earth through a grass paddock. My mount is a strong, black-as-coal gelding whose name is Peba and he reminds me of Zorro’s stallion. 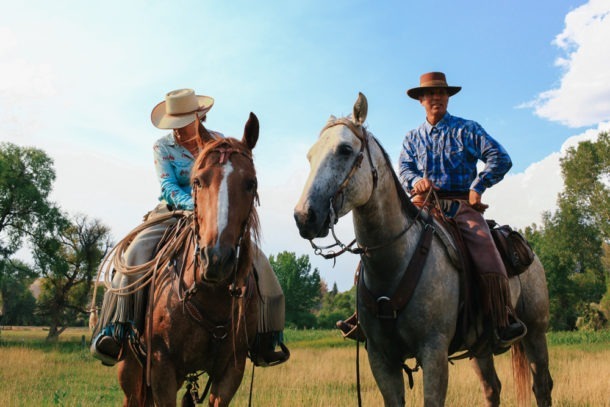 He’s agile and responds to the slightest touch of the rein, a dream horse by anyone’s standards. There is a gusty sea breeze that has been following us ever since we left the ocean filling my nostrils with the smell of salt and causing the knee-high grass to bend and flex in yoga formations. The night sky sparkles with thousands of fireflies resembling fairies twinkling and floating magically through the air. I close my eyes and tell myself I must remember this moment forever, catch it like a firefly and keep it in a jar alive in my memory forever. 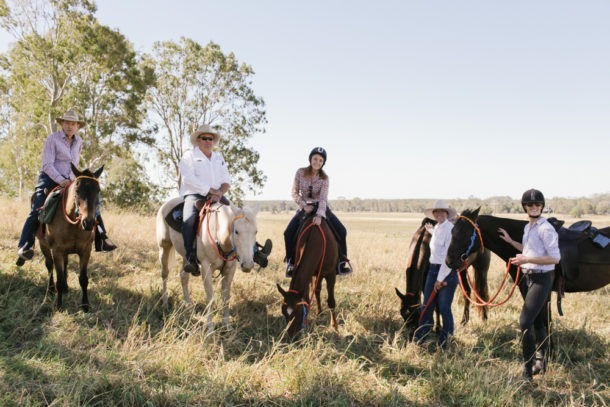 I’m in the Bahia state of Brazil to road test a new six-day horse riding holiday which is the brainchild of Paulo Junqueira who specialises in horse holidays in his home country. 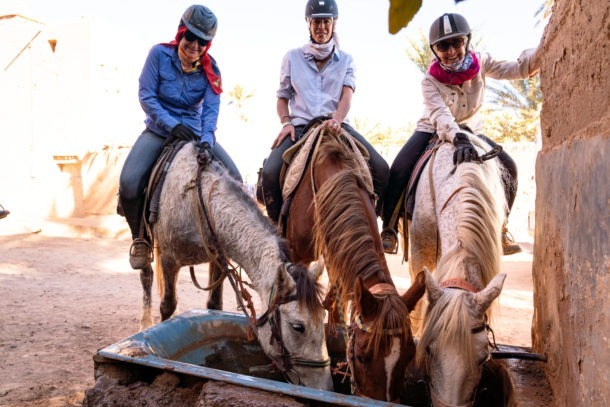 Brazil is one of the newest riding destinations for happy hackers who have a penchant to explore different cultures and countries from the back of a horse. 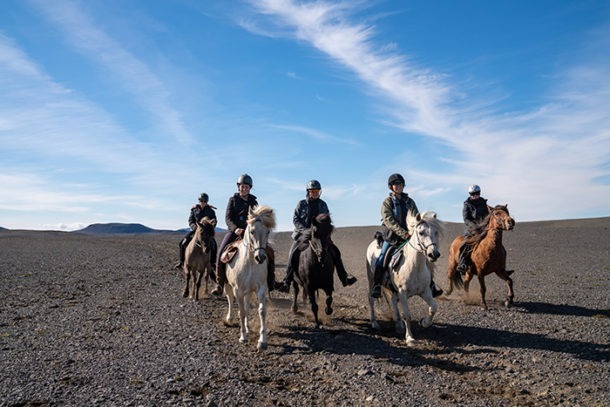 The South American country ticks a lot of boxes as a potential number one riding destination: a horse culture that runs deep like an artery through its country, exotic horse breeds like the Mangalarga Marchador known for its comfortable walking trot and diverse and altering landscapes from the Amazon in the north to the Pantanal in the south-west. The Bahia State is on the northeastern side of the country fringing the Atlantic coast. On our ride we’ll explore the Discovery Coast where the landscape has remained virtually untouched since the first Portuguese fleet dropped anchor in 1586. Our bubbly and enthusiastic riding guide is Yasmina Lujan Williams. 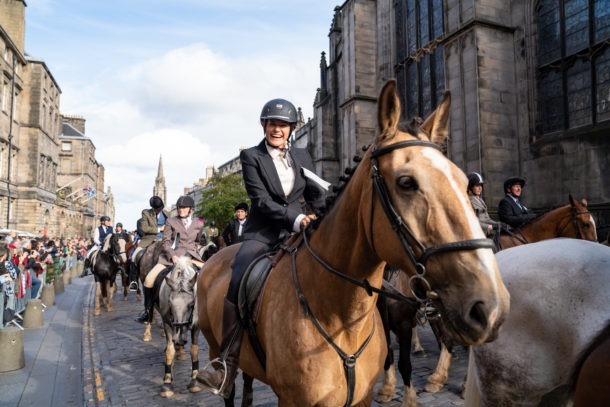 She speaks enough languages to interact with the group of six guests who have made the trip from France, Germany, England, Holland and Australia. The Pousada (hotel) where we spend our first night rests on a sheer beach cliff with front row seats to the Atlantic Ocean. We arrive under the cover of darkness, which gives us enough time to sample the traditional cuisine, guzzle a Caipirinha (Brazilian cocktail) and be lulled to sleep by the distant rumble of the sea. The next morning paradise unfolds before my waking eyes. Lawns that resemble manicured golf greens are met with white sand, which dissolves into the placid turquoise ocean, palm trees sag heavy with coconuts and exotic birds flutter between hibiscus flowers. After breakfast we are ferried down to the polo fields where me are met by our horses, which are saddled in English tack complete with generous sized saddle bags. The majority of the horses that we’ll be riding are polo ponies who are in their off-season. 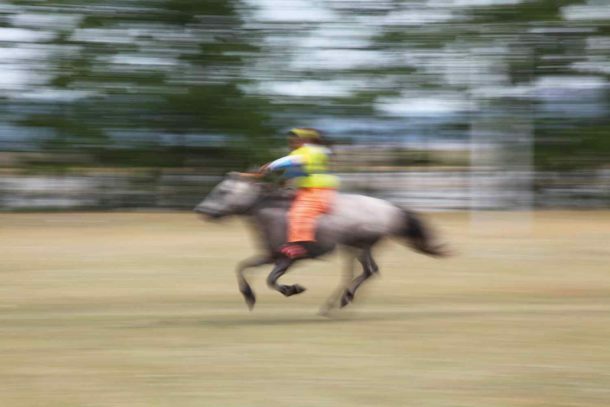 We’re instructed to ride around the polo field to get a feel for our new mounts, stirrup lengths and for the guides to check we’re matched on the right horse according to our ability. The polo field is centre stage to the most spectacular, panoramic view of the sparkling ocean and coconut groves below, a huge contrast to our country polo pitch in Gympie, Queensland. 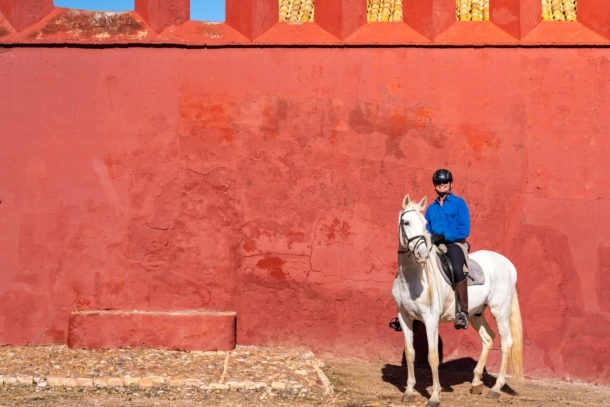 Once the riding assessment and safety procedures are completed our guide leads us north for a full day of riding, our final destination the coastal village of Trancoso. I’m mounted on a bay gelding called Peone, which means Peacock in Portuguese. Andre, who was born and bred in the region looks after the wellbeing of the horses and is the trailblazer at the front of the group leading us through dense rainforest. 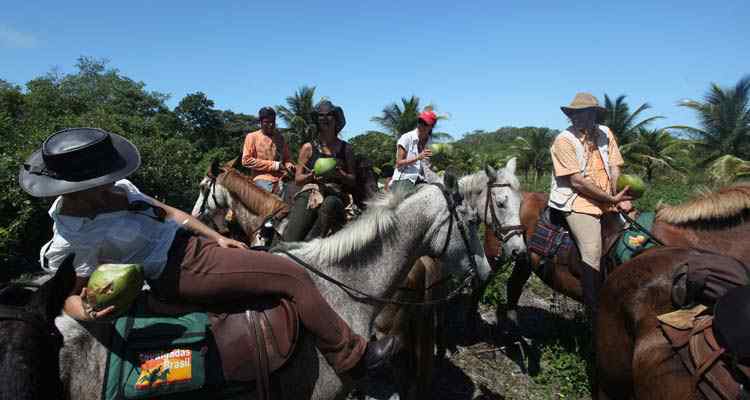 Just before lunch we pass through a rural village called Itaporanga and as a group consisting of six milky-skinned foreigners astride horses we cause quite a stir with the local children. It’s nice to sneak through the village at horse pace, wave to the locals, peer into shop fronts and get a general feel and appreciation for their way of life. Colour is everywhere in the village with the shop fronts painted in candy pastels from mint green to musk pink and butter yellow. We dismount at the Indian native village of Imbiriba on the outskirts of the town where we are greeted by chocolate skin-toned Indians from the Pataxo tribe. The Indians are small in stature with kind, welcoming faces and are traditionally dressed. The men and women wear grass skirts, and are adorned in colourful beaded and feather headdresses and tribal face paint. Our attention instantly shifts when we see a young girl hugging what looks like a long-limbed koala with no ears. It’s a sloth. We all become captivated by this foreign-looking creature that is known for being slow moving and unenergetic. The girl puts the sloth in my arms moving his long limbs over my shoulders so he’s secure in my embrace. I pat him on the back and slowly, ever so slowly he moves his head towards me and a smile creeps across his face. We’re ushered into a circular building to watch a traditional dance from the Pataxo Indians. They gesticulate energetically in a stream of colour while the meaning of their singing falls on deaf ears. After being treated to a delicious lunch of traditionally cooked fish we leave the Indian community for the last riding leg of the day. It’s late afternoon by the time we reach Esphelho beach. The heady fragrance of mangoes, frangipanis and salt finds my nostrils as Peone strides out on the wet sand. The village of Trancoso captures my heart after riding through its sandy streets on dusk. The town is centred around the Quadera, which is like a village green; at one end a white-washed church sits on a beach cliff its back to the sea. The town is lined with sprawling almond and mango trees adorned in candle lit lanterns that blow gently in the breeze. Under the trees are tables and chairs belonging to the restaurants and folk sit casually drinking beer and playing cards. The next morning we bid a sad farewell to the eclectic coastal town of Trancoso and ride south to our next destination Caraiva. Today I’m mounted on a strong, spirited gelding called Peba because Peone is lame. 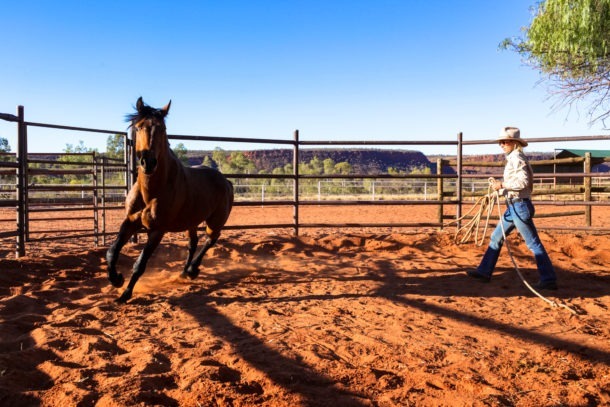 The day is filled with uninterrupted, loping canters along a coconut-coloured beach that stretches as far as the eye can see. We all have clown smiles on our faces as we career in and out of the ankle deep water splashing in the sea spray. We stop under scrappy coconut trees where Andre proceeds to stand on his horse and cut coconuts from the tree. Still mounted we thirstily gulp down the coconut water as it dribbles down our chin. That night we arrive at the tiny fishing village of Caraiva by boat crossing the turbulent and strong Caraiva River which feeds into the Atlantic Ocean. The village is a series of modest-sized, pastel-coloured beach huts, there are no cars and the only mode of transport is the local taxi, which is a donkey and cart. We dine by candlelight at a pizzeria and are swooned by the reggae beats of a local musician. 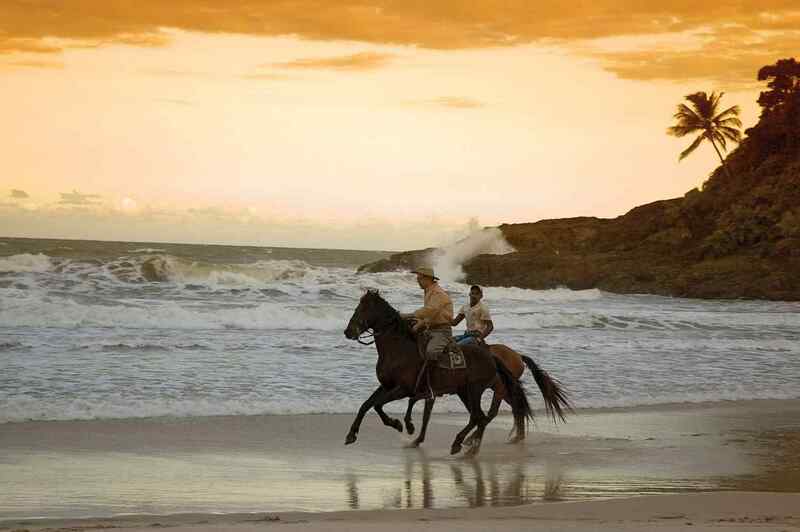 During the next couple of days of riding, I become more and more captivated with riding in Brazil’s Bahia region – its unadulterated beauty, exotic culture and relaxed pace of life. We ride under monolithic, ancient mango trees that are bountiful in sweet fruit, we swim our horses across swollen rivers and we learn ‘Forro’ a traditional Brazilian dance. As the days pass I become more and more entangled in the intoxicating web that is Brazil. On our last night, we tiptoe along the beach on our horses as the full moon creeps up over the ocean. The moon is plump and round with a rabbit on her face she bathes us in golden light, so that our shadows follow loyally behind us. 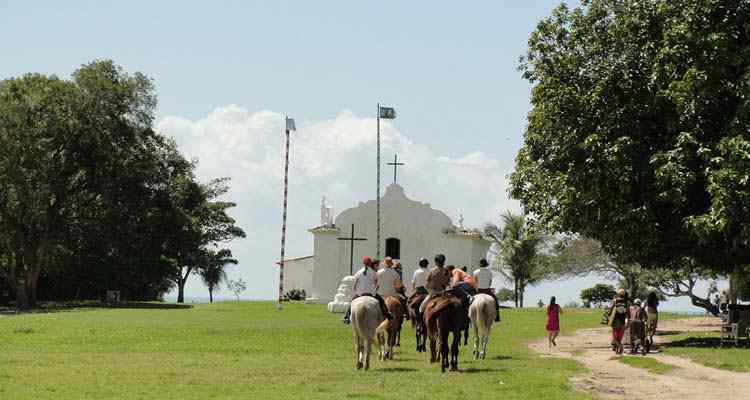 It’s a dream ending to a six-day horse-riding holiday in Brazil that has the perfect blend of foreign culture, thrilling riding and striking landscapes. 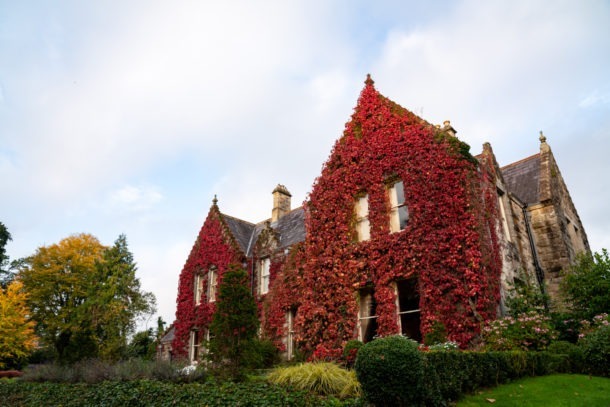 This article was written and photographed by Kate Johns. For more information on this ride click here.